Customization of MotoDESStudio4Android first starts with come correct information. 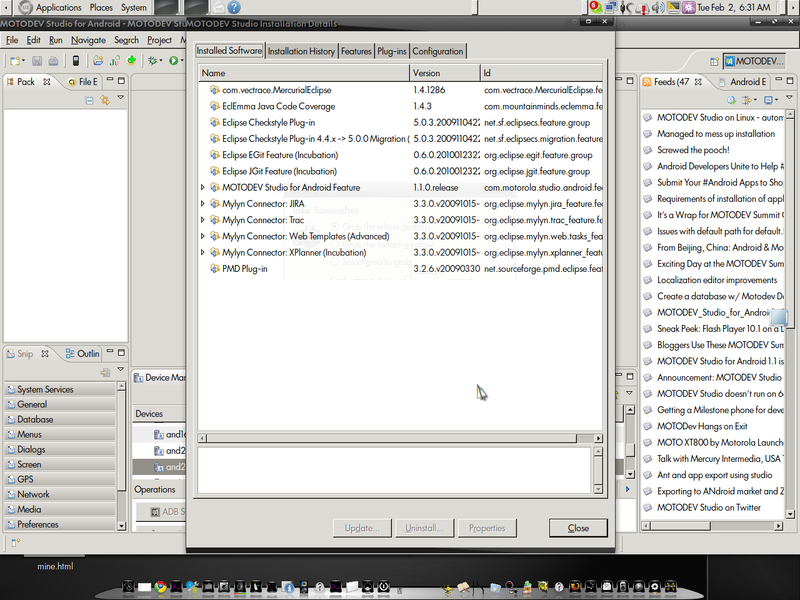 Other than MotoDEvStudio4android the plugins pictured are the only ones you can install. You cannot install rest of eclipse that Moto took out which means you have to download the Eclipse Memory analyzer to use with android as an RCP download to use a separate application. I still do not why MotoDevStudio4andoid staff would continue to indicate that you install plugins from eclipse that they took out as its an underlying MotoDevStudio limitation that has always been present in MotoStudio IDE products. That does not mean that the tools are not useful, its just that I believe the greater sum of parts can be gained by incorporating MototDevStudio additions on top of a full Eclipse install. ..to get the values as you cannot depend on model numbers, see the post here. A short note, I just checked the MotoDev Studio for Android download page and version 1.0 supporting Android 1.6 is still not up yet. I have been told to expect it either on Friday or Monday. However, I still do not have a new features list for hat version and they normally release the Linux version several weeks after the Windows and Mac Versions. At this time I do not know if the MB200 SDK add-on will be updated for Android 1.6 at the same release time period. You might want to tweet @MotoDev and ask. As far as MotoBlur in the emulator form my information I understand that you may get get access to MotoBlur functionality through the Virtual Dev Lab through Motorola’s App Acceleration program. 1. Eclipse 3.4 is used which means it has the bug prone ant 1.7.0 release preventing you from using col stuff like taskdef resoruce loading ot use Jdepend and et in a Android app build script. will MotoDevStduio for Andorid be updated to Eclipse 3.5 soon since ECF will not be releasing an Eclipse 3.4 fix to upgrade Eclipse 3.4 to ANT 1.7.1? 3. Does MotoDevStudio for Android support java preprocessign to target one code base for multiple SDK versions? 4. 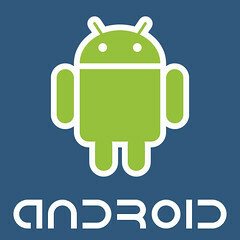 Many Android developers use Linux Oes, when is the MotoDevStudio for Android Linux version being released? Now this a device Motorola device I would buy. Obviously while it may hit RIM somewhat it has broader audience of say its Danger Sidekick Device competitors, certainly. You can read the full Gizmodo post about this Motorola device and when it might be expected to arrive. Given the slim foot-print and stlying I certainly coudl se Hollywood elite like Paris Hilton buying such social-online-focused devices. Edit, changed title..still not awake yet..sorry.